Invariably busy, constantly sleep-deprived. These are one of the key characteristics of most people living today. Sleep is of utmost importance, but it is not only quantity that matters, but quality. Short sleeps, dubbed power naps, can have many beneficial effects, and one of them is worth a special note: it can help boost your memory. 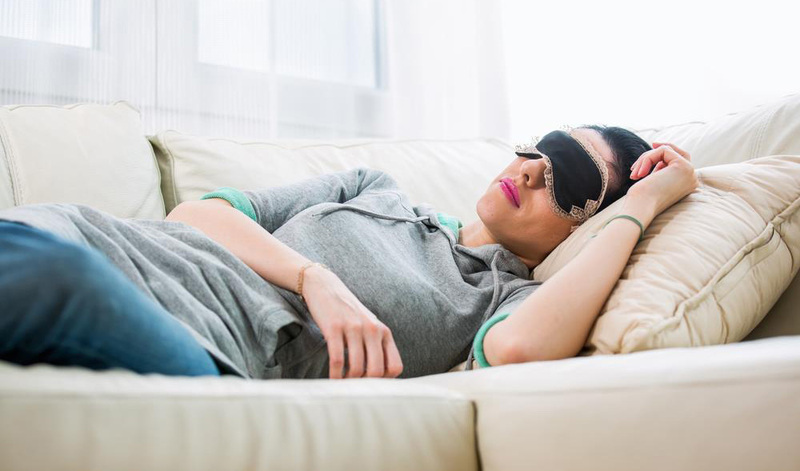 Contrary to the widespread belief, napping is not only for toddlers and the elderly. It is unknown what the natural sleep cycle for humans is: most mammals sleep several times a day, but humans do not follow this pattern. Instead, they divide the day into day and night defined by a single period of sleep. This pattern is shaped by tradition, and it may vary from culture to culture. In some cultures, taking a nap in the afternoon is considered normal, regardless of age. Taking a short nap right after learning something new can help you cement this knowledge. A team of scientists from Saarland University carried out a study which looked into the effects of short sleep on memory. 41 participants were enrolled in the project. The scientists asked the volunteers to learn word pairs with no association (like ‘taxi’ and ‘milk’) and single words and then try to recall as many of them as they could. At the second stage of the experiment, they were divided into two groups: one was allowed to take a nap lasting 45-60 minutes, and another one stayed awake and watched a DVD instead. After that, they were asked to recall the recently learnt information again. Surprisingly, the first group’s performance was much better than that of those who did not nap. They saw a 5-fold improvement in memory. However, they also noted that the participants did not show way better results after taking a nap than during the first pre-napping test: it’s just that their performance after napping was similar to the one showed right after being tested, which different significantly from the results of the control and DVD groups, who did worse on the second test. So, napping seems not to actually ‘boost’ memory but to preserve its peak post-learning state. These findings are consistent with what was previously showed by an earlier study conducted in 2008, when a team of researchers from the University of Düsseldorf found that to be effective napping does not necessarily have to be long: even ultra short sleeps lasting 6 minutes are sufficient for memory boosting. The implications of the study, as scientists say, is that equipping special rooms or places where students or employees can take a nap before an exam or just in the course of the working day could improve their performance. This is also a reason why those who are going to sit an exam should not burn the midnight oil, as it can have a negative effect on the outcome. To prevent grogginess, do not nap for too long. Try to keep it within the 20 to 30 minutes range. However, some people may feel dizzy or groggy if they sleep that much, and it may be better to reduce napping time to as little as 10-12 minutes. Adjust your napping time according to how your body reacts to it. Otherwise you run the risk of not only failing to boost your memory performance, but also of being unable to concentrate for another 30 minutes, or even more if you are sleep-deprived! Sleep environment is another matter of great account, because it contributes to its effectiveness. The place where you nap should be quiet and comfortable. Another thing to remember is not to nap too early or too close to bedtime, so as not to disrupt your normal circadian rhythms. If you need to boost your performance ASAP, the ultimate way to nap is to combine it with a cup of coffee: drink it and nap for 20 minutes – but not longer, since caffeine’s effect manifests itself in a short time. This approach has been proved to be more effective than either of them separately.